This week I am in Milwaukee for work. I love this town. My favorite is the sunrises over the lake. I have the perfect office while here!!! My second favorite is getting to visit with my peeps. 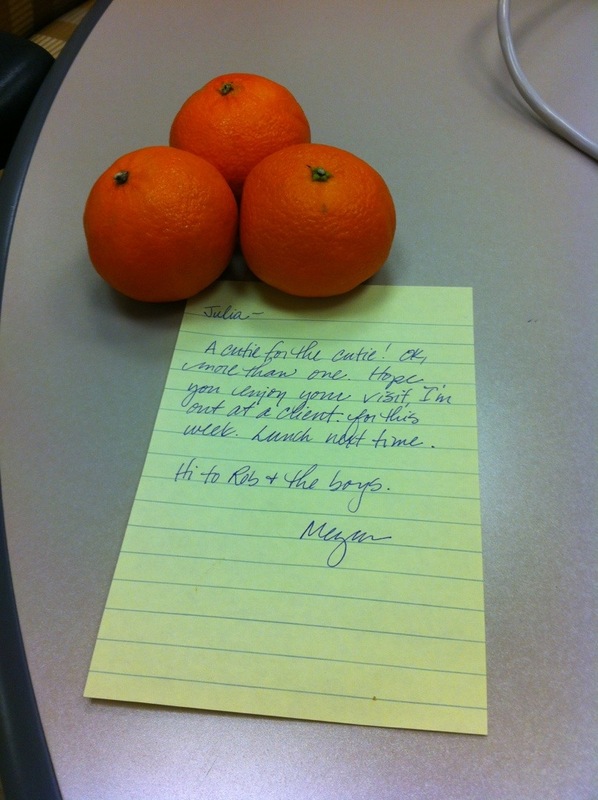 Look at the cute cuties I received from Megan this am. What a treat. 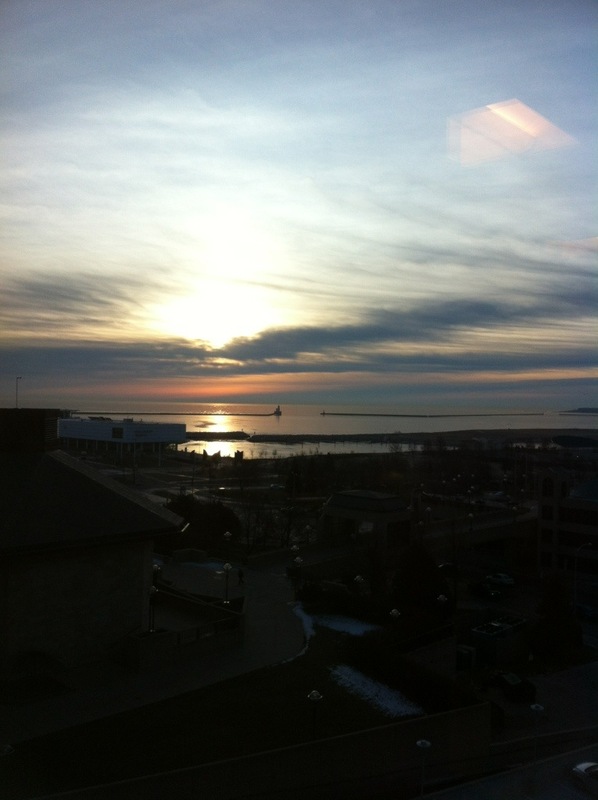 This entry was posted in General Mayhem and tagged cuties, Milwaukee, sunrise, Wisconsin by julia. Bookmark the permalink.